Located on a quiet corner of the Golden Zone, El Cid Granada Hotel & Country Club offers a perfect place for leisure and romance. 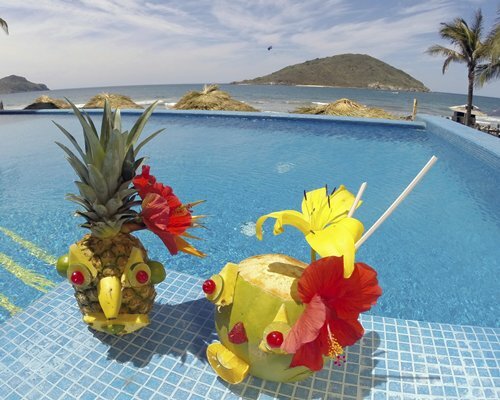 Sunbathe around our private pool, your favorite book in one hand and a refreshing tropical drink in the other. Looking for a little more excitement? Enjoy world-class golf, tennis and spa facilities across the street at El Cid Country Club. 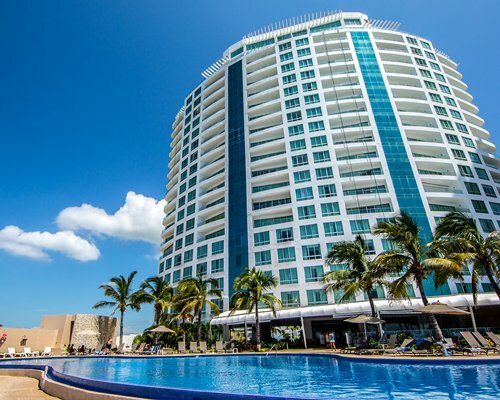 And because our colorful Hotel Resort in Mazatlan is directly linked by a bridge to El Cid Castilla Beach Hotel, it has easy access to its restaurants, beach and pools. Also, the hotel can arrange fishing trips, snorkeling and fabulous excursions and tours. 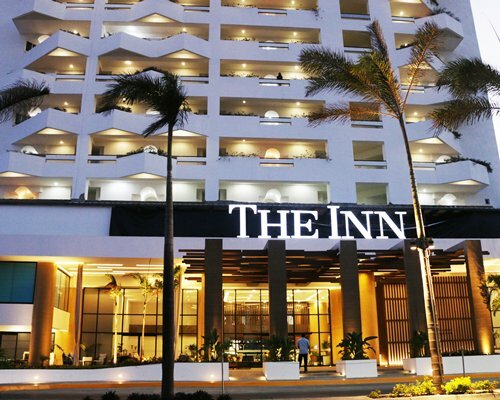 Experience the authentic taste of Mexican hospitality during your next trip to a resort in Mazatlan at El Cid Granada - a destination for leisure with "something for everyone". STUDIO UNITRest as never before in the quiet atmosphere of our Studio rooms, located in our three-story building, with contemporary decoration and traditional Mazatlecan hospitality. 2 double beds overlooking the garden, bathroom with large shower area, views of tropical gardens from your balcony or private patio.Size of the room: 48 m2.Maximum occupancy: 4 guests, including children.SUITE OF A RECAMBARAGive yourself the pleasure of staying in this spacious suite, for up to six people. Prepare quick snacks and drinks in your kitchen, before enjoying the captivating view of the gardens from your private balcony.King size bed, Second bedroom with two double beds, Separate room, Kitchenette with oven and refrigerator, Marble floors, Bathroom with large shower area, BalconySize of the room: 95 m2Maximum occupancy: 6 guests, including children. This is a/an Optional All-Inclusive Resort. Additional all-inclusive package fees are optional and are not included in the price of accommodation. Any all-inclusive fees are to be paid directly to the resort at or before check-in. Guests may not be able to purchase food or drink at a resort if he or she chooses not to pay the optional all-inclusive fee. Apr 27, 2019 90.00 US Dollars (per Adult, per Day) Prepaid Fee US$76.00 per person, per day. Jul 19, 2019 75.00 US Dollars (per Adult, per Day) Prepaid Fee US$57.00 per person, per day. Aug 03, 2019 90.00 US Dollars (per Adult, per Day) Prepaid Fee US$76.00 per person, per day. Dec 20, 2019 75.00 US Dollars (per Adult, per Day) Prepaid Fee US$57.00 per person, per day. Jan 04, 2020 94.00 US Dollars (per Adult, per Day) Prepaid Fee US$79.00 per person, per day. Apr 03, 2020 79.00 US Dollars (per Adult, per Day) Prepaid Fee US$60.00 per person, per day. Apr 18, 2020 94.00 US Dollars (per Adult, per Day) Prepaid Fee US$79.00 per person, per day. Jul 17, 2020 79.00 US Dollars (per Adult, per Day) Prepaid Fee US$60.00 per person, per day. Aug 01, 2020 94.00 US Dollars (per Adult, per Day) Prepaid Fee US$79.00 per person, per day. Dec 18, 2020 79.00 US Dollars (per Adult, per Day) Prepaid Fee US$60.00 per person, per day. Jan 02, 2021 94.00 US Dollars (per Adult, per Day) Prepaid Fee US$79.00 per person, per day. Unit Maximum Occupancy in strictly enforced. Rule #1 HIGH SEASON: Maximum 2 concurrent or consecutive week reservations can be confirmed during the following arrival dates only: 2018- Dec 22nd (Christmas week) & Dec 29th (New Years week). 2019 - Jan05-Apr27, Jun29-Aug10, Dec21, 2019-Jan04, 2020 (Christmas & New Year weeks) . The third week would need to be confirmed during low season or IDs DG72, DG43 & DG87. Rule #2 LOW SEASON: Maximum 3 concurrent or consecutive week reservations can be confirmed during the following arrival dates only: 2018 - Aug18-Dec15. 2019 - Apr28-Jun28 & Aug11-Dec20. All restrictions are checked by name and RCI ID number, so they also apply to members that confirm on other accounts as guests or multiple ownerships. All violations will be cancelled. EL CID VACATION CLUB OWNERS MUST CONTACT THEIR RESERVATIONS DEPT. FOR INTERNAL EXCHANGES TO THEIR EL CID HOME OR SISTER RESORTS THROUGH RCI: USA 866-552-7320/ CAN 866-611-1402/ MEX 01-800-523-4491. Last minute reservations confirmed between 48 a 24 hrs before check in, must be notified to the resort by calling 1877-322-1881 from the USA, 1877-804-9121 from Canada, and 01-800-667-5801 from Mexico.